Rupal Asodaria is a Fremont stay-at-home mother of two. Finding no solution to the back pain and neck strain she suffered while breastfeeding her baby, Rupal had an idea and created a product that now ships to more than 30 countries. 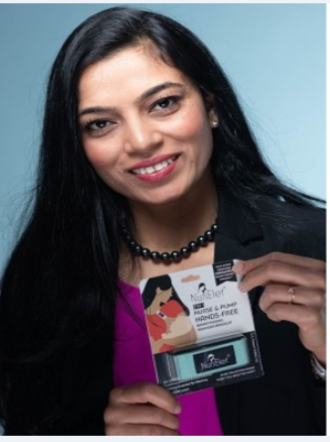 Come and hear Rupal’s story of working on her prototype in her kitchen and finally launching the patented NursElet bracelet to a worldwide market of nursing mothers. Learn how you too can turn your idea into your own NursElet.